Temperatures have reached into the single digits, the snow has been falling, and the wind has been howling. There must be another infamous Erie Winter upon us. While we were blessed with a mild December, January has been the exact opposite so far. 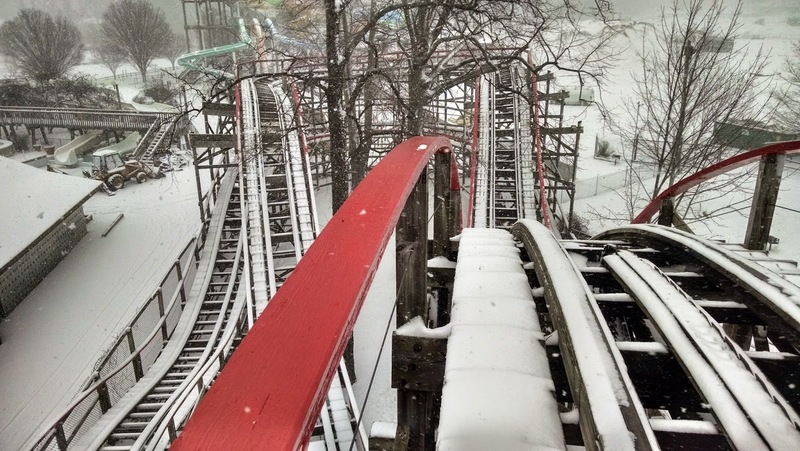 After a week of snowy frigid conditions keeping us inside, Cabin Fever sent some of the Waldameer Team out into the midways to explore the Winter Wonderland during a break in the lake effect snow. We had to move quickly, as this eye of the storm didn't last for long. 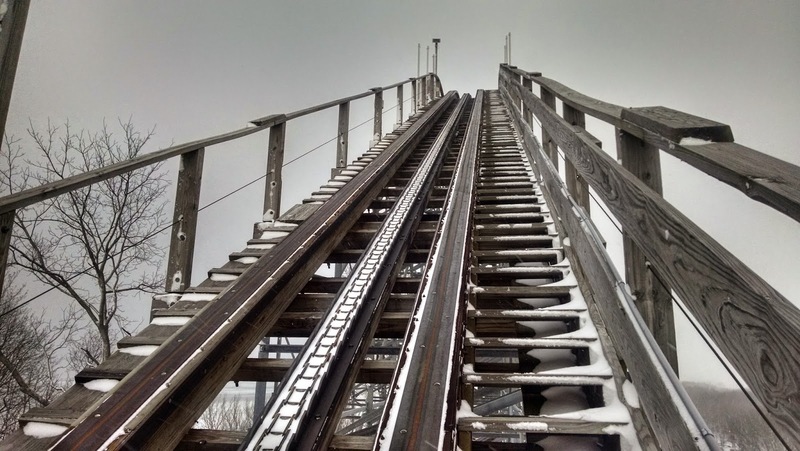 Our first stop is one of everybody's favorite classic wooden coasters, Comet. You would never know a massive Water World expansion is underway to the right with the blowing snow everywhere. A winter look into the "Heart" of Water World. 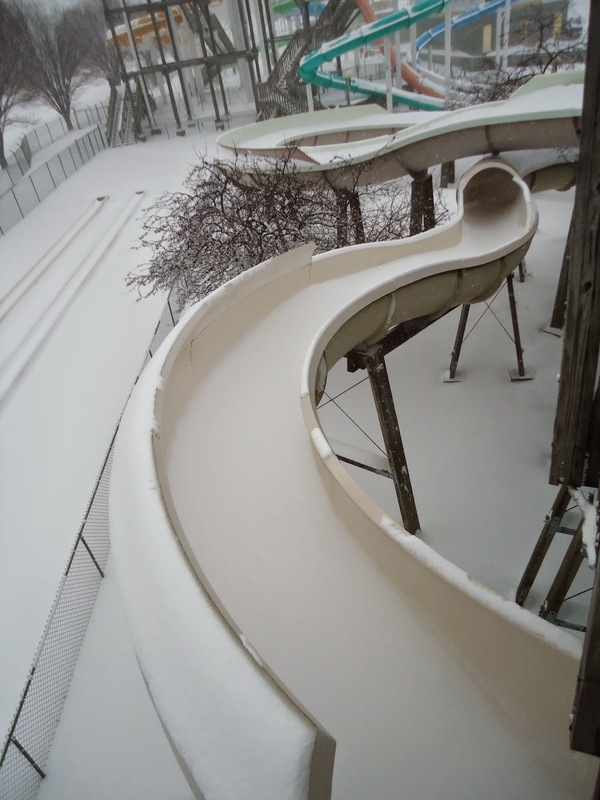 Wild River or Olympic Bobsled Course? 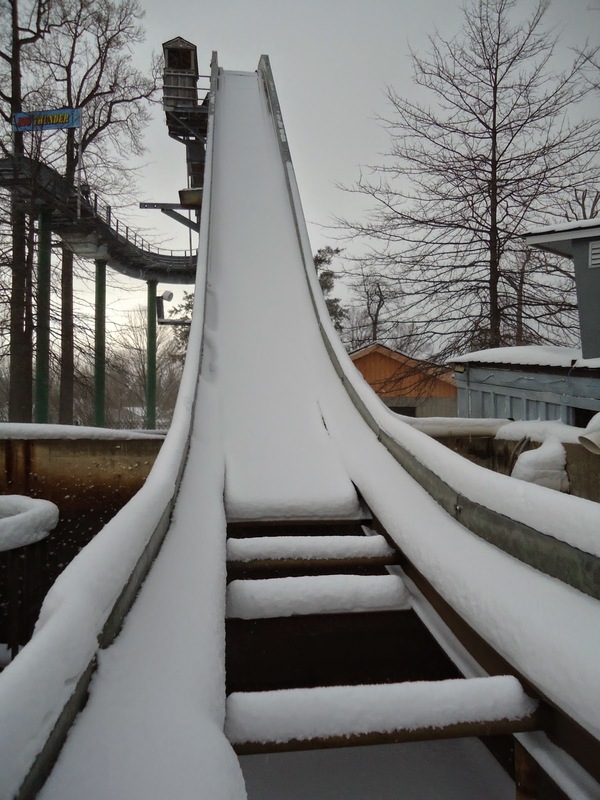 Speaking of Olympic Sports, Thunder River could fool anyone as a Ski Jump, but be careful of that landing! 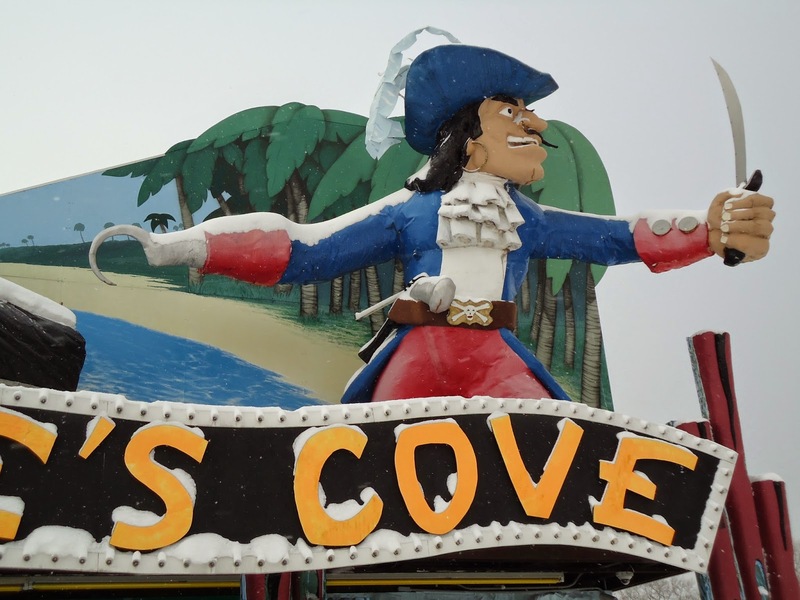 A little snow never stopped the Pirate from protecting his Cove from treasure hunters. 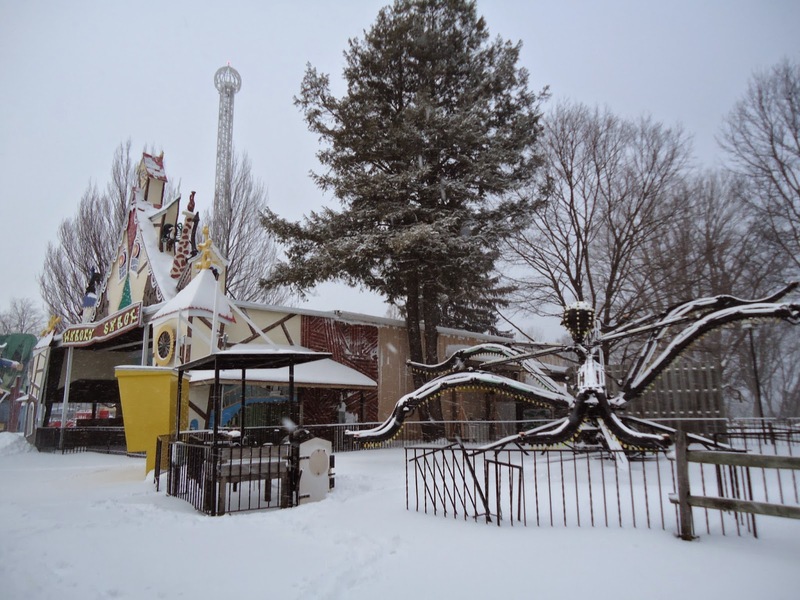 Some of our worst fears all in one shot: Spiders, Haunted Houses, Heights, and Snow! Spider's tubs are in the Maintenance Shop for their annual "Spin Up." The Shack might be cold and snow covered on the outside, but the spirits inside are alive and well. Did anyone inform these guests that it is 7 degrees outside? Ravine Flyer 3 might be the smallest of the "Ravine Flyers" but we need some practice for the challenge ahead. 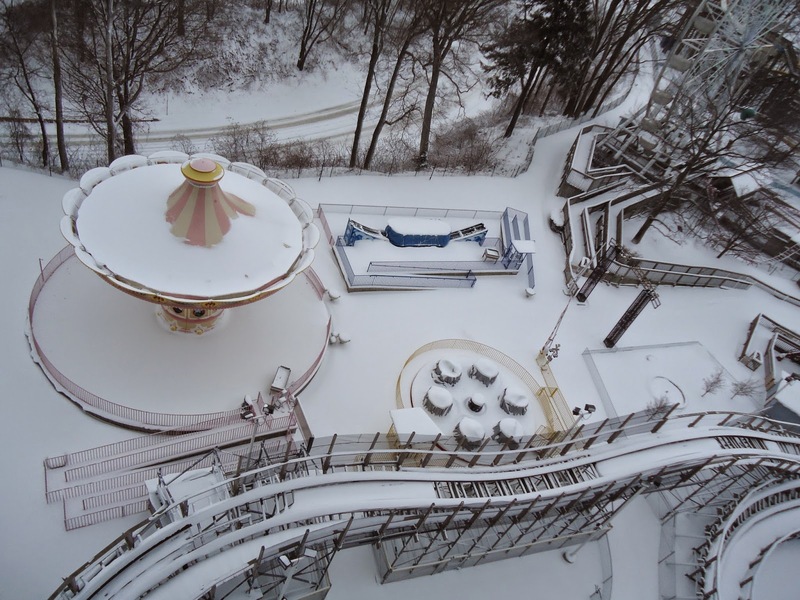 Make sure you sit upright, hold on tight, and enjoy your Snow Flight on Ravine Flyer II. 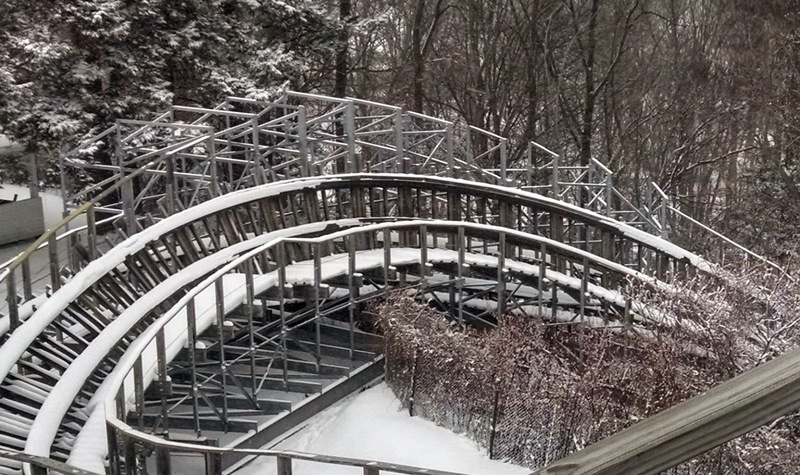 But this special ride on Ravine Flyer II is going to pause for a moment to take in the spectacular winter views. To our right, the North End is looking more like the North Pole. 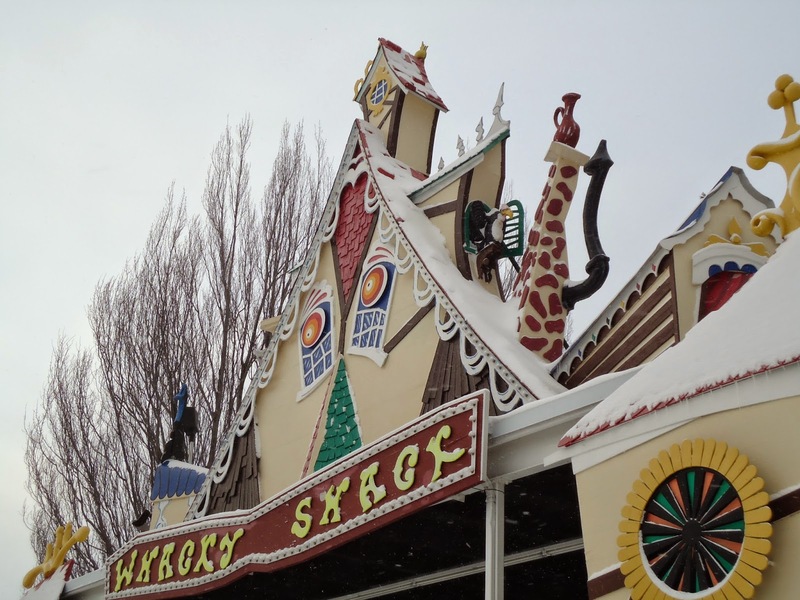 Kiddieland and its neighbors brace for the next band of lake effect snow. Wow! 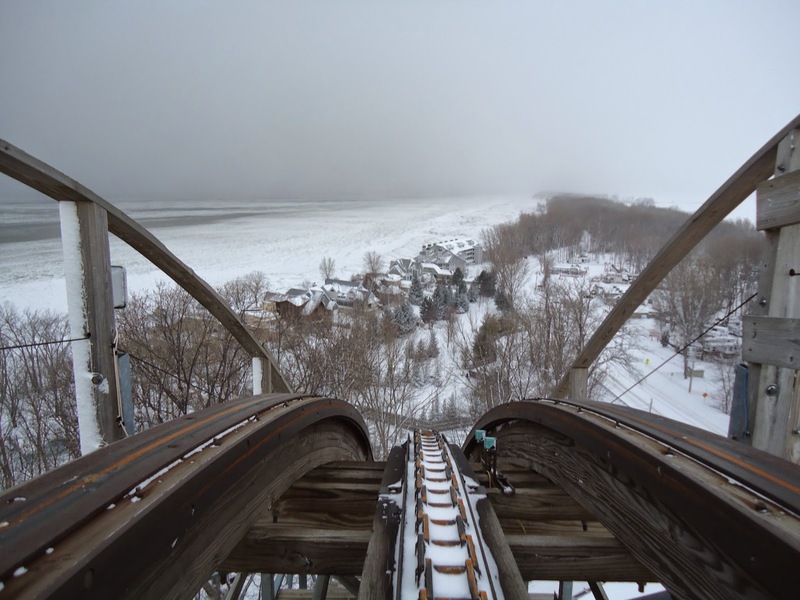 What a view of the entire park! But watch out, a storm is brewing. 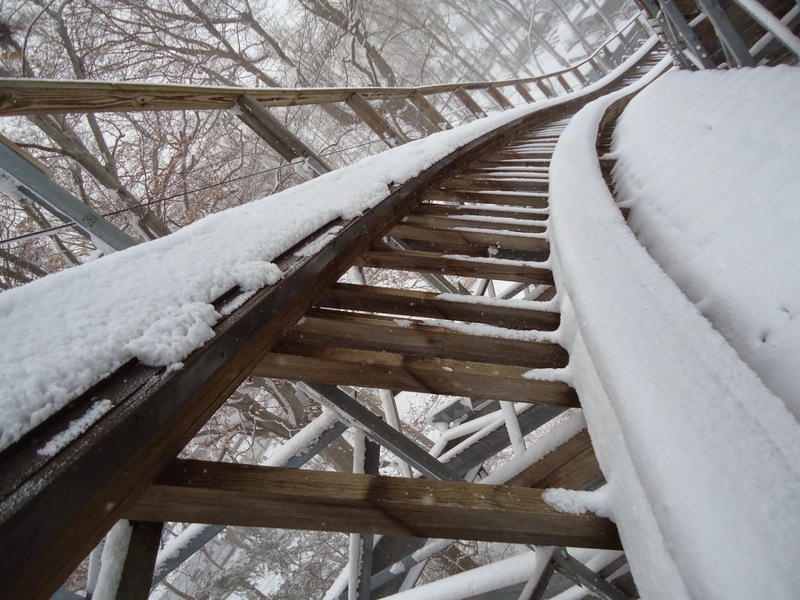 Correction: A storm is brewing with the exception of this part of the track where the snow never sticks, because it's always a hot 90 degrees. 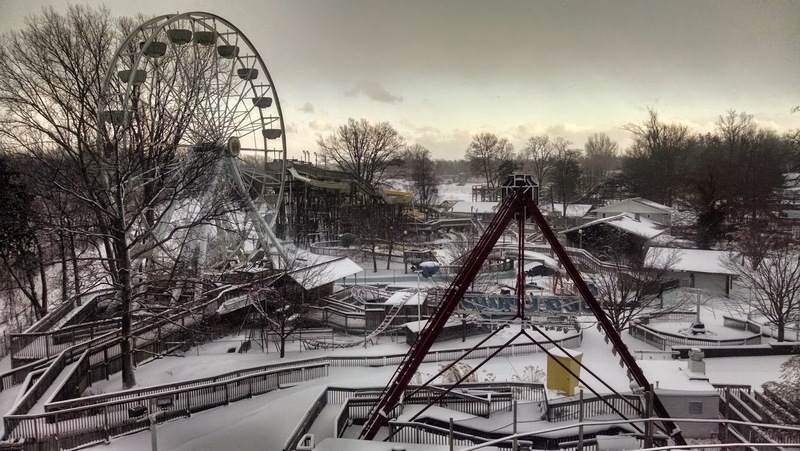 One last chance to enjoy the spectacular winter view. Just a few days ago, Lake Erie was wide open with crashing waves. Weather sure changes quickly around here. 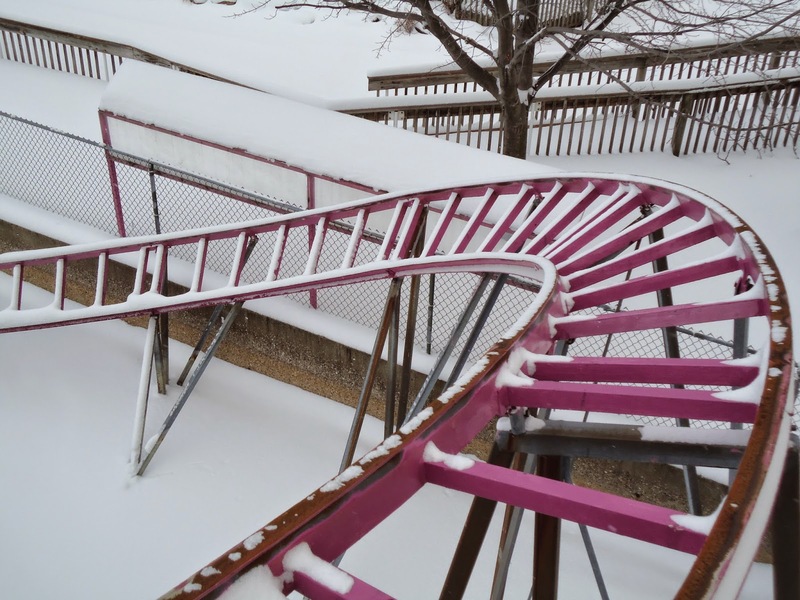 Would you dare to ride Ravine Flyer II in the snow? A "snow bunny" hop ahead. 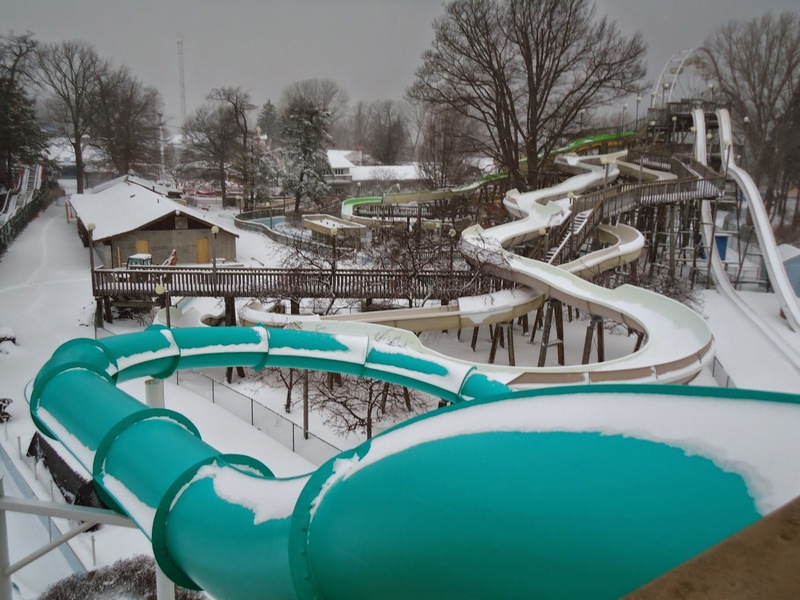 Now that was one Waldameer and Water World adventure you will never forget! 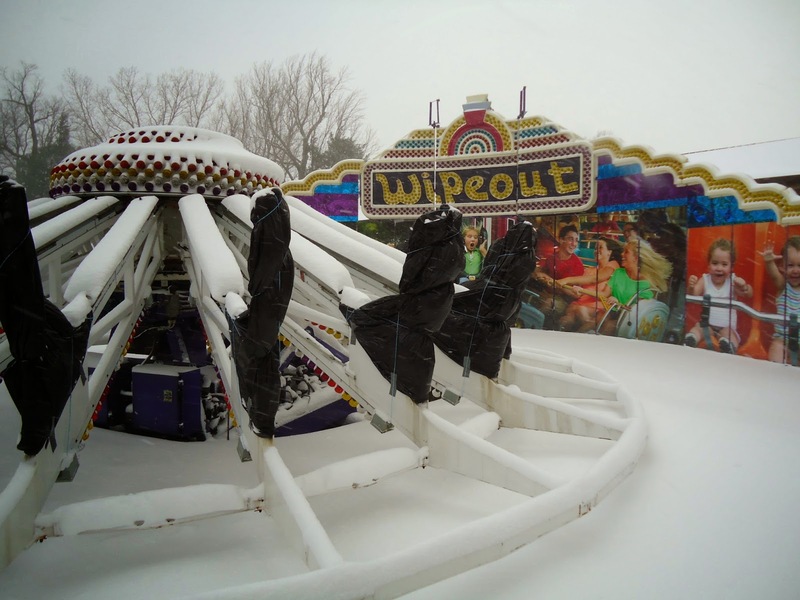 Until next time, stay warm!